With the large volume of solid waste generated from urban markets, it is often not feasible or economical to transport waste directly from the collection point to the landfill, which is usually situated some distance away from the generation point. In these instances, Waste Management has Transfer Stations strategically located to accept waste from collection trucks. At these Transfer Stations, waste is consolidated, compacted, and loaded into long-haul trailers for transport to landfills. This operation improves the utilization of collection equipment by minimizing transportation time and efficiently moving large volumes of waste to our disposal sites. 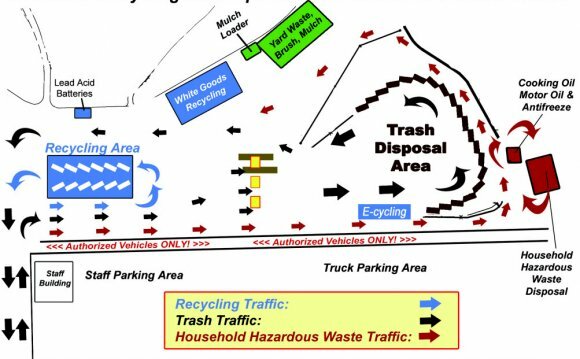 With most of the waste we collect going into our landfills, our supporting network of transfer stations and hauling operations provides the important link for the efficient disposal of waste within a radius of 100 miles or more, from both urban and rural markets. Waste Management, Inc. (NYSE: WM) is a waste management, comprehensive waste, and environmental services company in North America. Founded in 1894, the company is headquartered in the First City Tower in Houston, Texas.